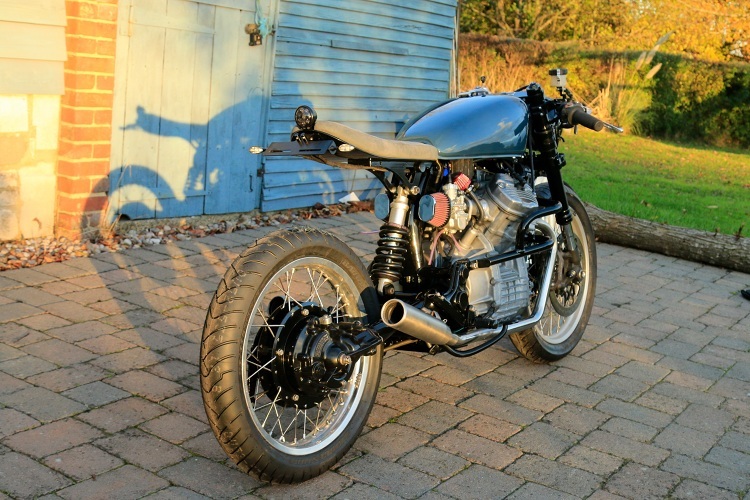 Nothing we love more than a shed-built cafe racer — especially when it turns out as clean as this one. 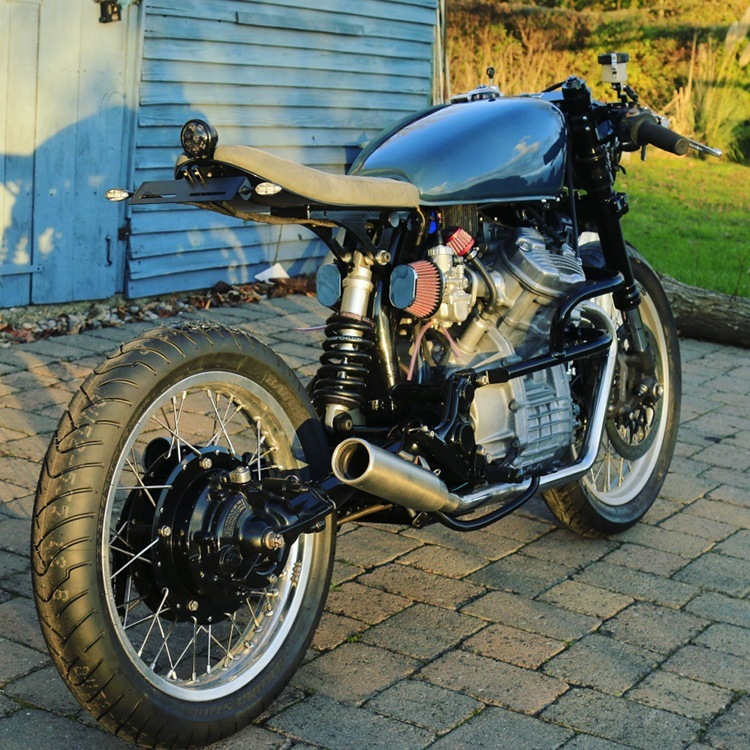 The Honda CX500 has become a favorite among builders, with its ‘Guzzi-style V-twin, stubby wheelbase, and upright forks. In factory trim, the bike is decidedly ugly, just begging to be restyled! 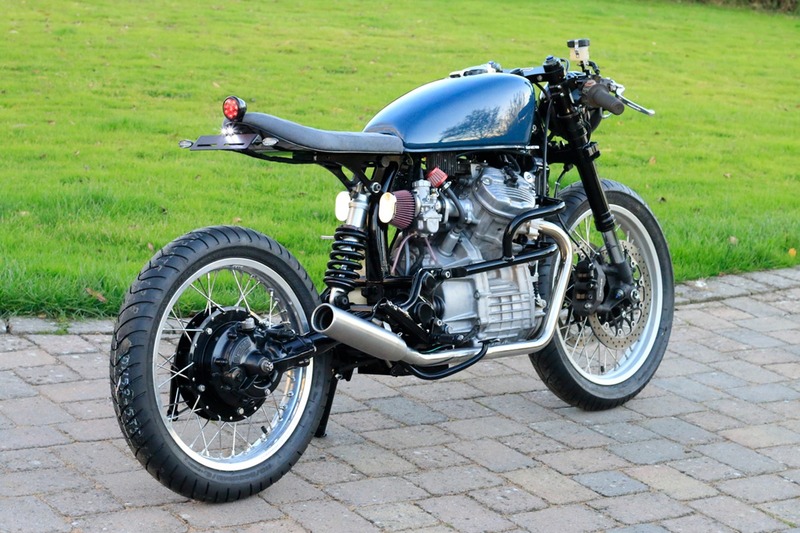 Below, Colin Froy of Rolling Retro gives us the full story on this 1980 Honda CX500 cafe racer. I’m now 36 years old and have been riding bikes since I was 19. The majority of the bikes I’ve owned and ridden are sport bikes: ninjas, GSX-R’s, R6’s etc… A few years ago I got stopped by the police at the kind of speed that could have lost me my license. There just wasn’t any thrill riding a sports bike unless I was going fast and fast was going to get me in to a lot of trouble. It was time for a change. 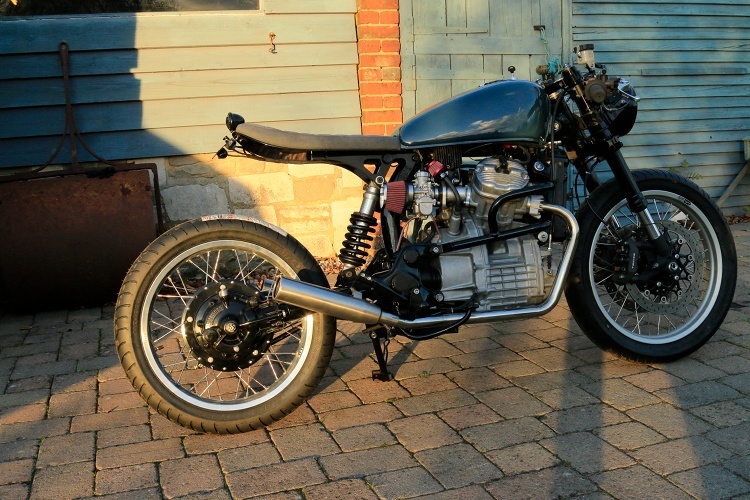 A friend from work (the day job) built cafe racers in his spare time — not the budget kind, but Nortons, Vincents, Norvilles… etc. 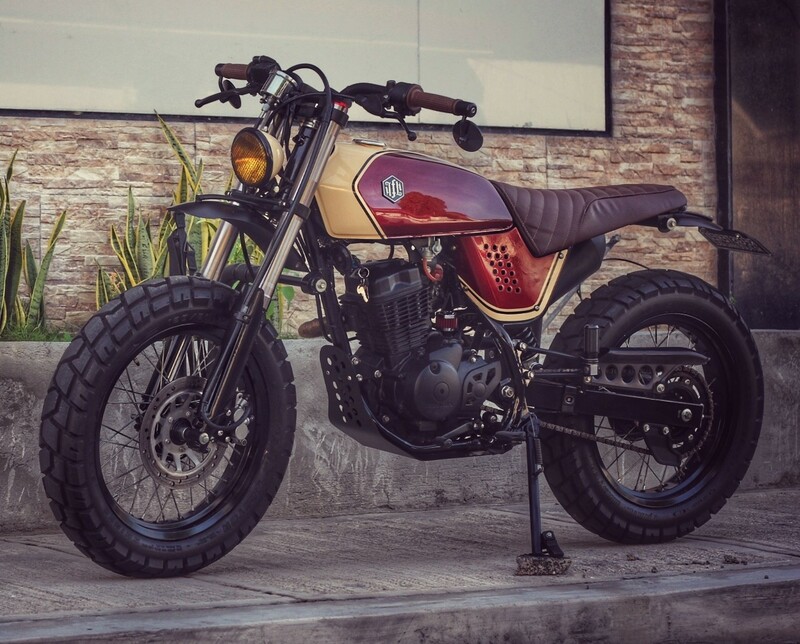 I had always loved the look of them and started to look at the cafe racer scene a bit more. 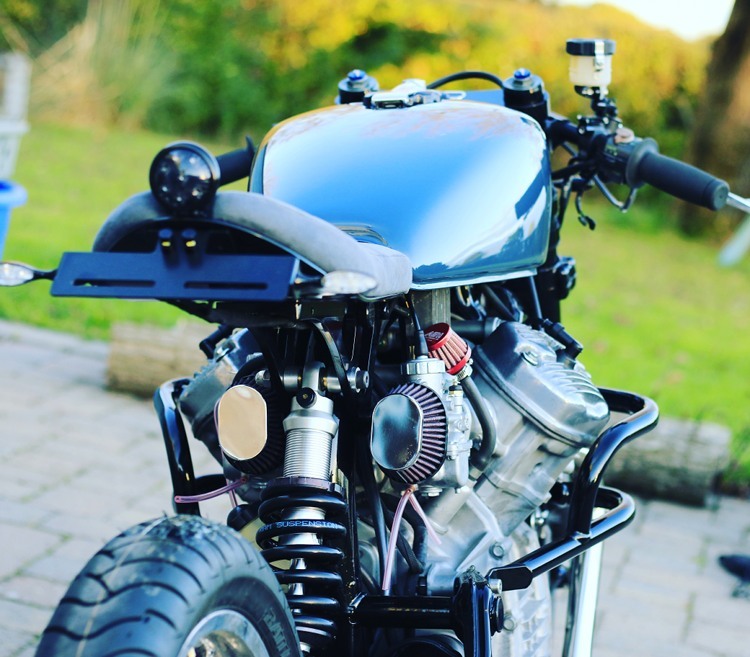 It seems it was perfect timing as the cafe racer scene was starting to go through a bit of a revival in the UK and I came across one of my favourite builders deBolex and their MK1 CB750. 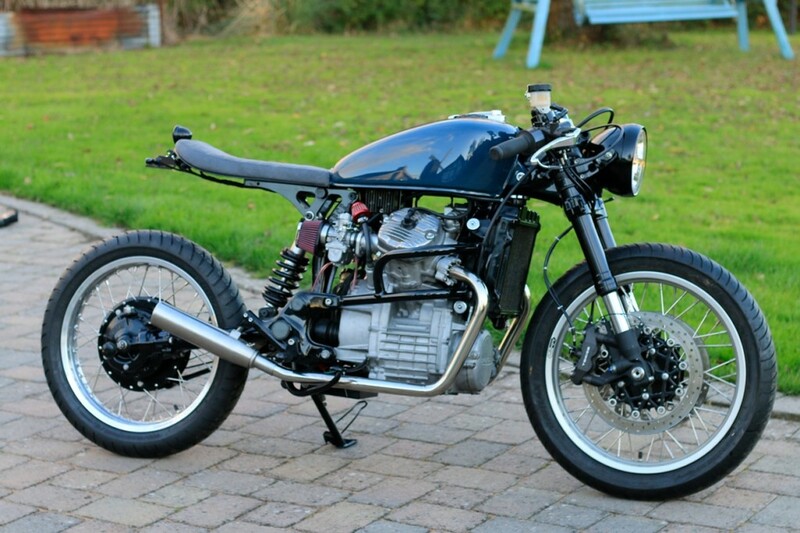 I fell in love with this bike, the mix of modern suspension, electrics and a slimmed down seat on an vintage cafe racer just seemed perfect. 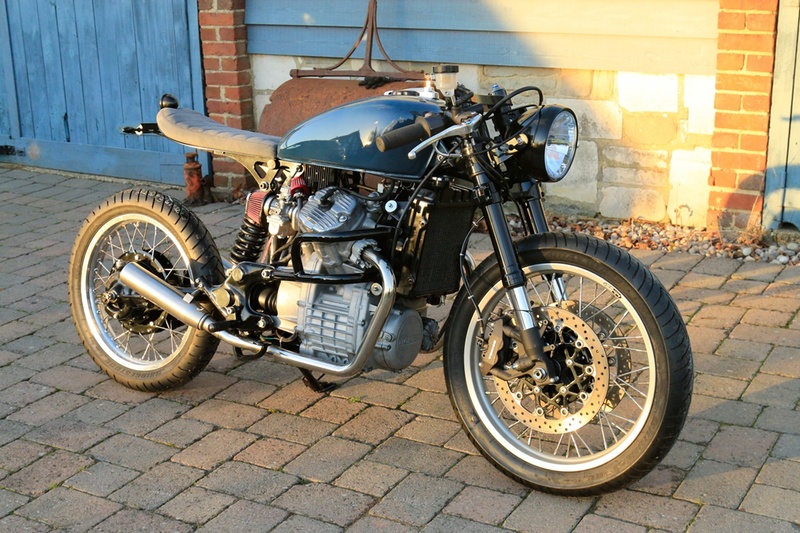 So next came the CX500. 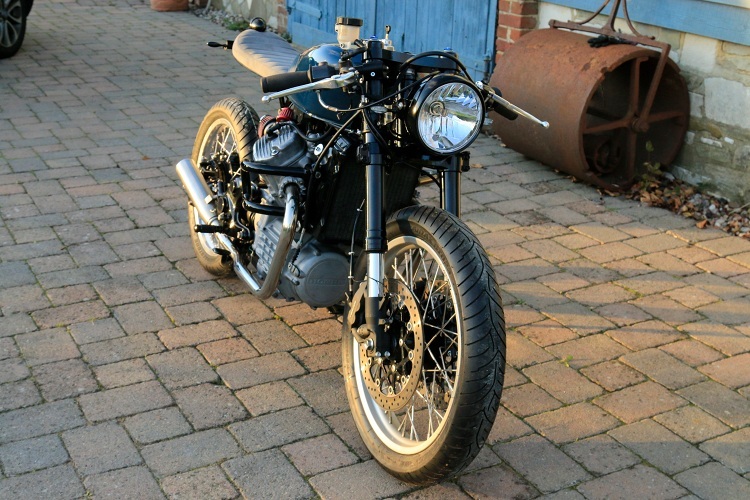 I wanted to take everything I learnt from the CB250n and push my skills as far as I could. 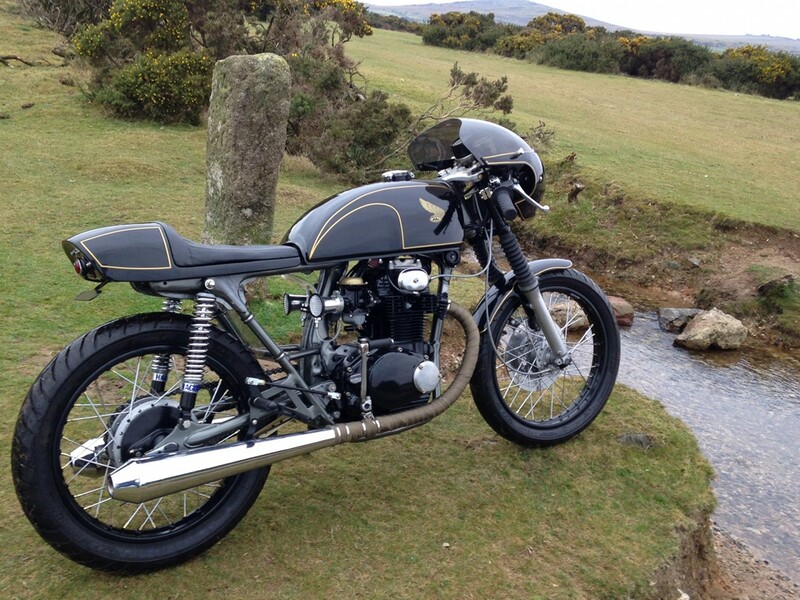 More importantly I wanted to build a cafe racer that looked good, but worked even better. 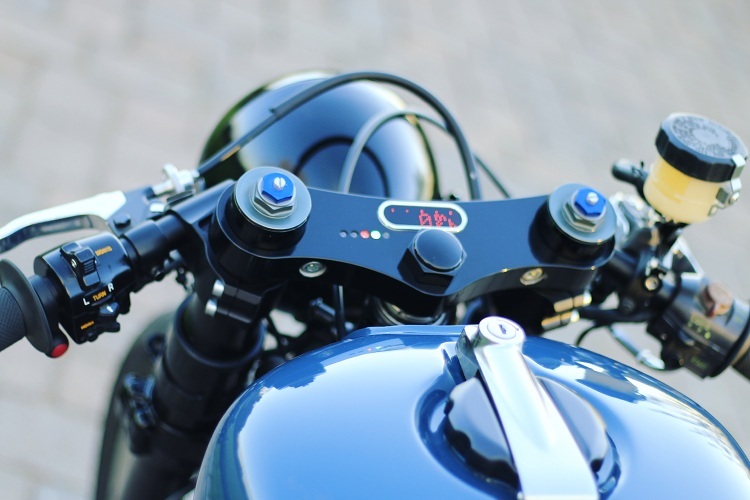 The seat height, position and reach to the clip-ons were the key to making an everyday cafe racer. 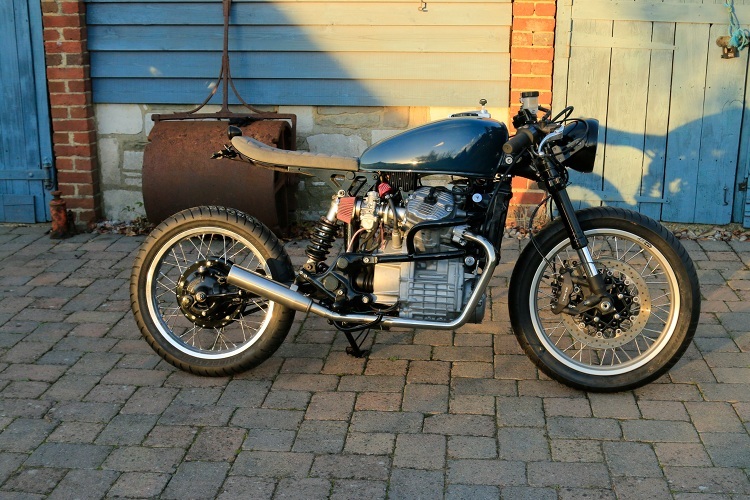 I also wanted to build a cafe racer that would get me noticed as a shed builder… something that would maybe get me introduced to the scene and a step closer to giving up the day job. 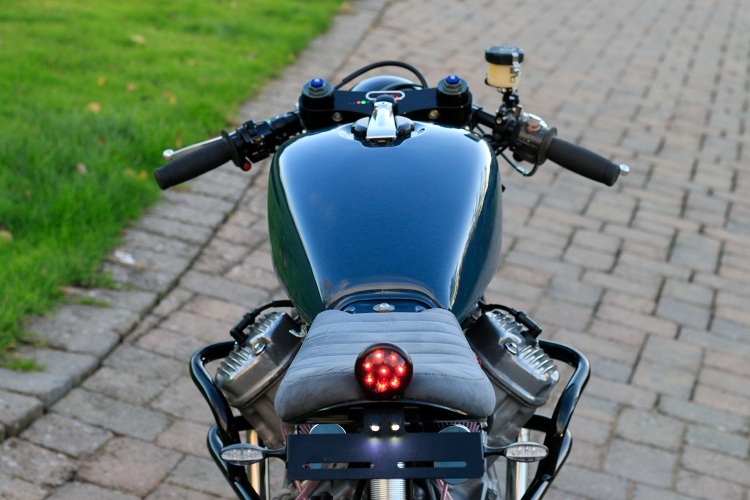 The front end is Cognito Moto, with GSX-R forks, spoked wheel, Motogadget speedo and keyless ignition. I replaced the deluxe tank with the smaller custom tank, moving the mounts back to accommodate clip-ons. For the rear, a Monoshock conversion with a custom made shock by Realm Engineering, designed to take any 2.25″ spring, allowing it to be easily changed depending on rider weight. Spoked wheel conversion on the rear with oversized tyre. Custom seat by myself. In the middle to add a little power is a set of Mikuni carbs and stainless exhaust pipes. It took a long time to get the lines right on this build. I wanted the traditional straight line running under the tank and seat. The ride height is similar to most sport bikes and it is very comfy to ride. This is the second bike I’ve built and now I’ve got the bug. Hopefully the next build should take me out of the shed to the amateur builder scene! Photography by Nick Rosendale of Events Through a Lens.